Product prices and availability are accurate as of 2019-04-19 21:55:43 EDT and are subject to change. Any price and availability information displayed on http://www.amazon.com/ at the time of purchase will apply to the purchase of this product. 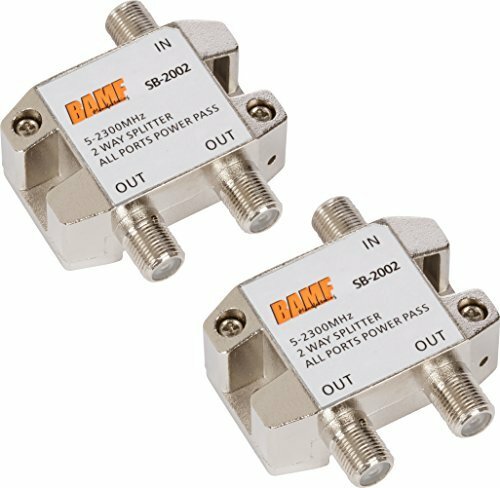 VERY HIGH QUALITY, Bi-Directional, High Performance solid built, 2-way coax cable splitters designed for CATV, Satellite, or Antenna services. They use frequency spectrum 5-2300 MHz for optimal performance on all devices. Whether you are using cable internet (broadband), TV or phone, satellite TV, or antenna system we have you covered. Works great with MoCA systems. 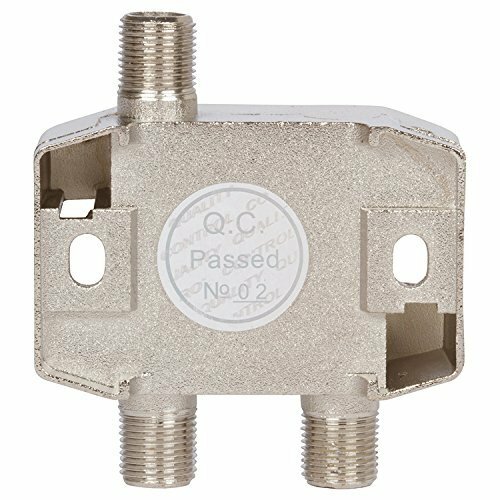 Zinc die-cast housing with nickel plating, F-type connector, low insertion loss, high isolation, max passing current 0.5A, DC 24V, multi-outputs. These splitters are made to connect to any size of coaxial cable, which includes newer RG6 cable or older RG59 cable and will support any device that works with a coaxial connection. 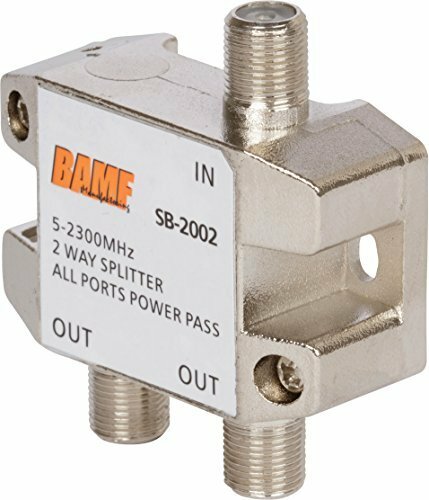 Unlike some cheaper splitters, which contain thin soldered wires to connect each port, BAMF splitters house a much more durable and reliable circuit board for passing signal from port to port. The Shielding improves signal quality for internet and VoIp Devices improving speeds and lowering packet loss.